I feel like I’ve known Rebecca for the longest time and I cannot believe I’ve not featured her sooner in one of my Book People posts! 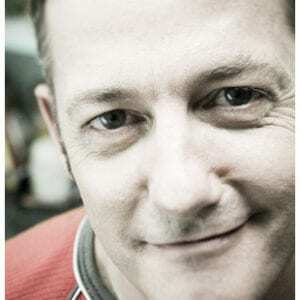 She was actually one of the very first author visits I ever organised as a beginning teacher librarian – Narelle Oliver was the first, darling Greg Rogers was the second – why do I remember these things? Rebecca presents one of the best author visits/workshops around and I’ve now had her visit the various schools I’ve worked at over the years. 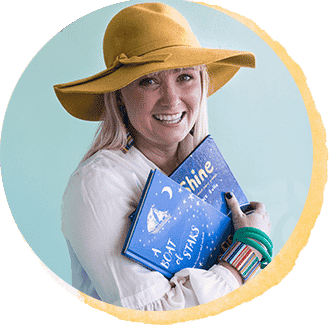 As well as being a writer, Rebecca is also an award winning science teacher and her love of nature and science shines through in her writing. I have long loved Rebecca’s books with Steve Parish and regularly purchase them for baby gifts, and as gifts for overseas visitors. 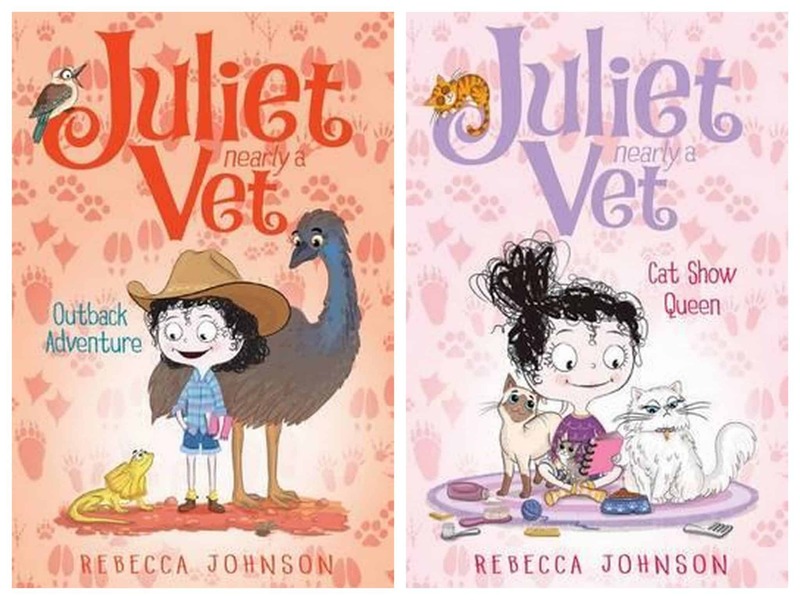 However it is Rebecca’s work on the gorgeous ‘Juliet – Nearly a Vet’ series published by Penguin books that has really put her on the map in the world of children’s literature. 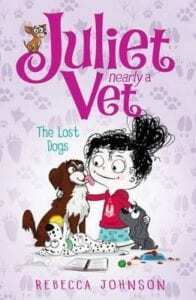 The series is one of PudStar’s favourites alongside Clementine Rose and Violet Mackerel. 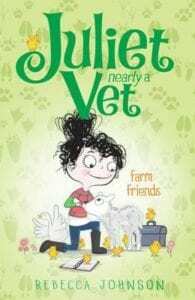 Each book in the ‘Juliet – Nearly a Vet’ series features Juliet – nearly 10, and with ambitions of becoming a vet like her mother. Children have a natural tendency to daydream future careers and role play them – sometimes for days on end in the case of PudStar and her ‘artist like Frida Kahlo’ aspirations! 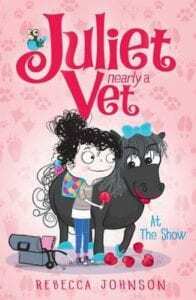 Rebecca Johnson has done a beautiful job of making Juliet’s vet-in-training dreams come to life and seem utterly believable and achievable. 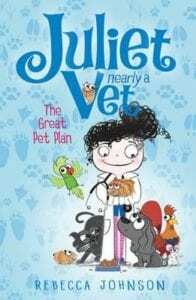 Great care has been taken to ensure that each book is both entertaining and educational (but young readers will not pick up on this I promise! 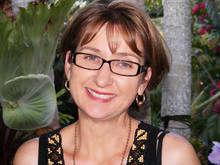 ), and Rebecca has clearly researched each story with care – although I have to say Rebecca – your research for the cat show one made me laugh! 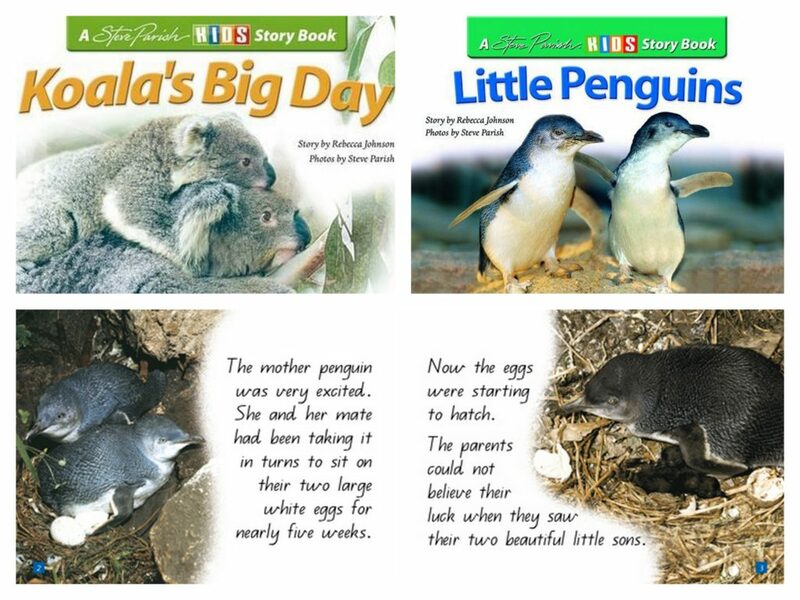 Each book has lots of animal facts, information about sustainability issues and fun quizzes, extending the reading experience that little bit more. 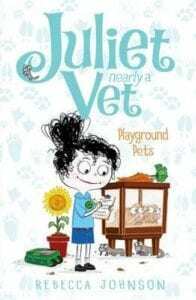 The illustrations by Kyla May help to break up the text for young readers’, who are also treated to glimpses inside Juliet’s ‘Vet Diary’ notebook, which can be used as encouragement for observations and note-taking at home or school. PudStar loves a notebook or 20 – she has titled her latest one, ‘My Rhymes and Tunes’, but the one she titled ‘Nature Drawings’ is still her most treasured. 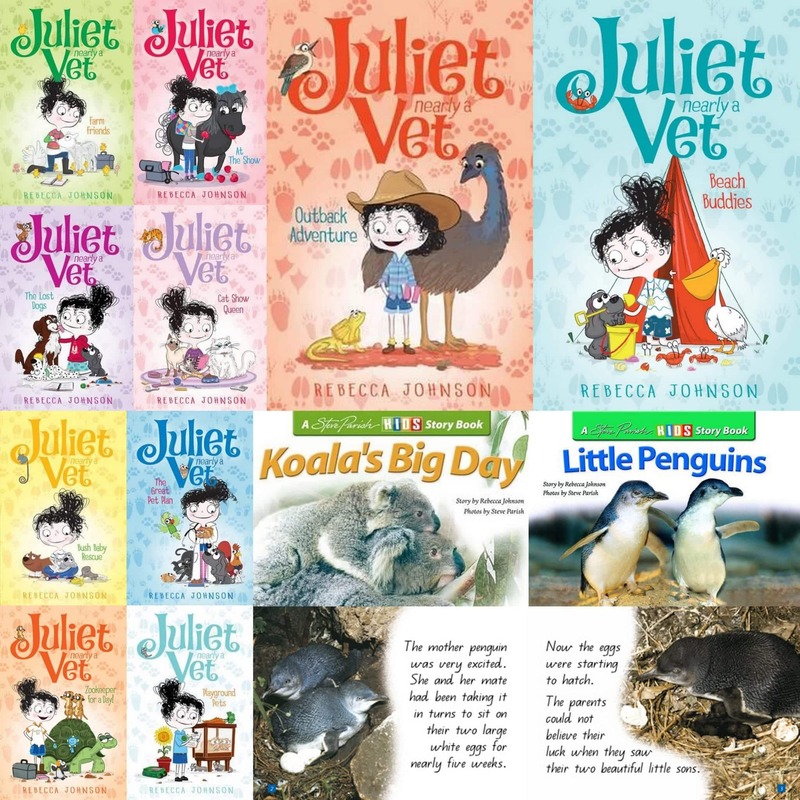 There is now ten books in the ‘Juliet – Nearly a Vet’ series and when an author can maintain the quality of a series through ten separate titles, you know you’re onto a good thing! 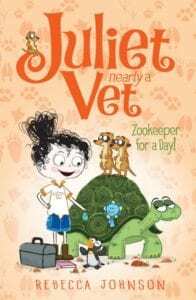 Highly recommended for animal loving young readers with curious minds and big dreams. 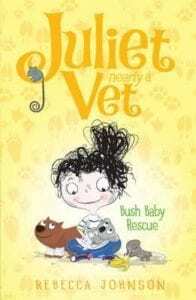 I have two new ‘Juliet – Nearly a Vet’ books. 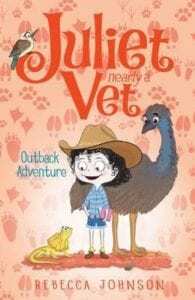 Book 9 is called ‘Outback Adventure’ and it’s set in Longreach, Juliet and her family are going to visit her grandparents who own a cattle station to help with the muster. This book was great fun to write because I randomly rang lots of people in Longreach and asked them to be my ‘eyes’ and describe what life was like there and what it looked like, as I had never been. They say country people are very helpful, and it is so true! I even found a lovely lady called Leone who runs a cattle station with her husband, and she was happy to answer so many of my questions, so I feel like the book is as accurate as possible. I am definitely going to visit Longreach now. 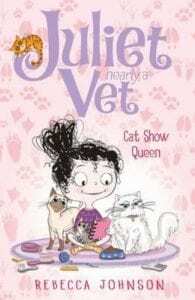 Book 10 is called ‘Cat Show Queen’ and it was hilarious to write. I watched dozens of cat show YouTube clips to see what happens at cat shows and how you need to get a cat ready for one. Did you know that it is very important to match the fabric in your cats cage to the cat so it doesn’t clash? Or that some cats are ‘dribblers’ and need to wear bibs before the judging? I didn’t! These were the first two books I have written where I didn’t have personal experience with the topics but, thanks to YouTube and nice country people, I feel like I really learnt so much about these topics. I came up with an idea to use photos of animals with fiction stories and approached photographer Steve Parish to see if he was interested. It took 5 years for him to say yes, but my ‘Steve Parish Story Books’ have gone on to sell three and a half million copies and there are now 50 in the set with ten more reptile and amphibian books coming out later in the year. I am an early riser, so I do my best work in the mornings. If I have a lot of work on, I get up at 5am and start straight away. I’m still teaching science three days a week, so on those days, I’ll write for an hour and a half before I head off to work. 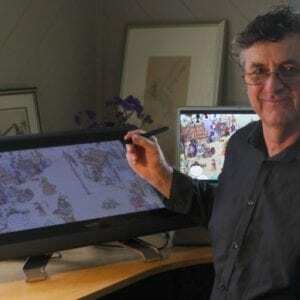 I’ve been told by my publisher at Penguin that I have amazing ‘backside glue’, because, when I need to, I can sit and write for big lengths of time to get a book written. I tend to think and verbalise a lot before I write (I never make notes or storyboards) and by the time I actually sit down to write, it is like typing out a movie I have seen a dozen times. I hate re-doing things, so I make sure it’s a good story before I type the first word. I hardly ever write at night, because I am usually too tired. There are two teachers and two university students in this family, so we have turned our rumpus room into an office with four desks because we are always working on something and we love having company. 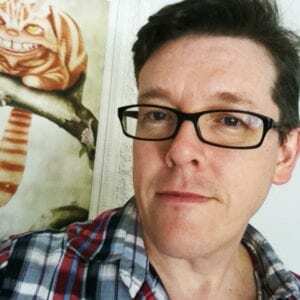 We can then chat about what we are doing and it feels less like work and more social. There is a lovely big window that looks out over our garden, and I love looking out at it when I’m thinking. Definitely. DON’T write it until you can TELL it! Think about it … if you can’t tell the story and get the sequence right and keep your listener entertained, you probably won’t be able to do it in writing either, without a LOT of editing (and time) from you friends or teacher. Get it really clear in your mind and verbally ‘pitch’ it to someone before you start writing. They will be far more likely to give you honest feedback too, because they won’t feel guilty about the time you have committed to writing it. I really loved having ‘The Lion, the Witch and the Wardrobe,’ read to me as a child, and I particularly remember the scene where Lucy thinks Aslan is dead and is very upset. I remember thinking even then that I would love to write something that made people feel like that one day. I always thought I’d really have loved to be a vet, but the truth is, I love being a teacher and would not change that job at all. Cherries. Really BIG cherries. Chocolate bullets and WAY too many cups of tea!!! No music. Just the sounds of my garden. I think my sense of humour comes out in my books. I have always loved jokes and laughing. Almost every character I write has its roots in someone I know. I always feel as if I know exactly what they are going to say when I am writing them because I know that person, or at least that type of person, really well. ‘Juliet’ is full of my friends and family. I think you’d have to have a good sense of a character to write them well. I have re-written this six times! I have tried the peace, understanding, poverty ideas that I hope we all feel so I have decided to focus on one tiny thing I wish the world would stop doing. Please don’t think that this is my greatest wish, it’s just one that I think we could all do something about. PLEASE stop letting helium balloons with strings go into the air at every celebration or commemoration. They pop. They end up in the ocean. Animals die. Thank you for joining us here today Rebecca – tis always a pleasure! All Rebecca’s books, including her many with Steve Parish (now published by Pascal), can be seen and purchased here. 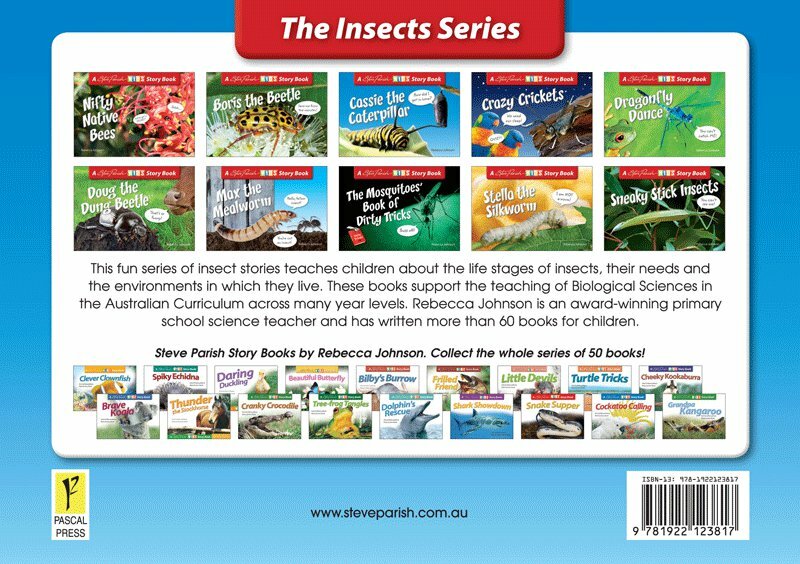 Rebecca’s ‘Insect Story Book’ series (10 in total) with Steve Parish was the winner of the 2014 Whitley Award for Best Children’s series. A glossary of technical or tricky words. Factual information about the mealworm. A fact-file of the mealworm’s lifecycle. 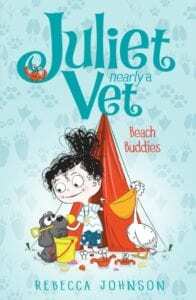 Rebecca’s ‘Juliet- Nearly a Vet’ series can be purchased by clicking on the cover images below. ‘Bush Baby Rescue’ won the Wilderness Society Award in 2014.